Santa Fe is a city with many local points of interest to discover. One of the best ways to do this is in a reliable vehicle equipped with a good set of tires. You can find such tires at our shop nearby at Land Rover Santa Fe. We’ll go over what kind of services you can find to satisfy all your driving needs. If you have any questions, don’t hesitate to contact us. When your vehicle is equipped with the right set of tires, you’ll get better handling and traction on the road for an overall smoother performance. That’s why our dealership is your one-stop shop for all things tires. The Land Rover models in our inventory are looked over to determine which tires are right for their particular performance. Different factors are considered, including traction, stability, and tread life. Plus, our tire shop sells many brands, including Goodyear, Michelin, and Continental. No matter which one you’re interested in, you’re sure to get the right set to improve your drives around Santa Fe. If you’re looking to get a new set of tires for your Land Rover, you can always give us a call or order them online. We’ll then contact you when the tires are available and ready to be put on your car. Along with selling tires, we work hard to repair your current ones with any issues you may have. If you get a puncture wound from a nail or other object on the road, we’ll patch it up for you. If your tires are low on air, we’ll fill them up. 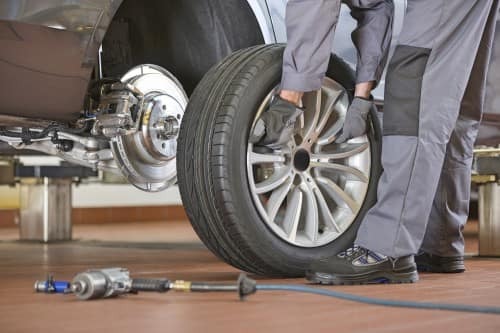 Or, if your ride has been a little unbalanced lately, we’ll gladly rotate the tires for a smoother drive and more even wear between all four tires. We also perform all kinds of other work in our state-of-the-art service center. Whether you need a simple oil change or a more complex engine repair, our certified technicians will work hard to get your vehicle in tip-top shape. No job is too big or too small for our team, and we use only genuine parts, so you can rest assured that your vehicle is getting the kind of care that it deserves. So, if you need any type of service done on your automobile, either give us a call or schedule an appointment online, and we’ll confirm a day and time that work best for you. After your vehicle’s tires get repaired or replaced, you’ll want to explore the city of Santa Fe. One place to visit is the Center for Contemporary Arts. This arts and culture hub works to support emerging and established artists. It does so through different exhibitions, independent films, and performances. Another place to check out is the New Mexico History Museum. This museum has lots of exhibitions and public programs demonstrating the heritage of this southwest state. Stop by to look through their different collections, or check out any of their special events throughout the year. 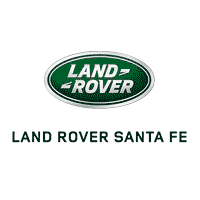 If your Land Rover needs new tires, or you need some other type of service, then schedule an appointment at Land Rover Santa Fe. We’ve helped drivers in the area for many years, and we look forward to serving you.